Who are the arts for? how learning within the arts supports students learning and knowing in a range of contexts both within and beyond school. This guide provides a comprehensive elaboration of the arts learning area including the disciplines of dance, drama, music – sound arts, visual arts, and art history. the world they engage in as connected global citizens. Experienced arts teachers designing and developing innovative programmes aligned to The New Zealand Curriculum and NCEA. 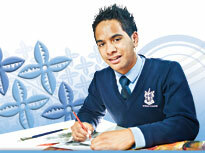 Teachers new to teaching senior secondary arts. Teachers new to teaching arts in New Zealand. Curriculum leaders considering the place of the arts in their senior curriculum programmes. Students looking to know why they should study arts disciplines. Parents/whānau wanting to know what learning in the arts is about. Teaching of the arts is guided by the National Curriculum which is made up of two documents - The New Zealand Curriculum for English-medium schools and Te Marautanga o Aotearoa for Māori-medium schools. Te Tiriti o Waitangi is central to both documents. Teachers of the arts recognise and affirm the principles of the treaty, our bicultural heritage, the multicultural nature of New Zealand, and our place in the Pacific. They address the needs of every student in all circumstances. The arts learning area of The New Zealand Curriculum affirms the identity of akonga (learners) and places them at the centre of all teaching and learning. The curriculum vision, values, principles, and key competencies are integral to the planning and delivery of arts programmes. Learning in visual arts engages conceptual thinking, problem solving, generating, and process-based actions. Art history explores and investigates art in relation to theoretical concepts or positions. The links between visual art and art history are now more explicit and valued in The New Zealand Curriculum. The Ngā Toi learning area of Te Marautanga o Aotearoa celebrates and acknowledges the skills and knowledge of the past, and empowers and challenges the thinking of the now and the future. Use the links below to access the sections of this guide. To navigate through the guide's web pages, select from the section and sub-section menu in the left-hand navigation. Teaching and learning guides are produced in HTML. They have been designed to be viewed online. To print individual pages, select the 'Print' button at the top right of each page. To print the complete guide, select the ‘Download this guide in PDF format’ button. If your browser default is set to automatically open PDF downloads in a PDF reader, the entire guide will open and can then be printed. If not, the entire guide will download into your download folder, where you can then open the document and print. Please note, some guides may be more than 200 pages long.